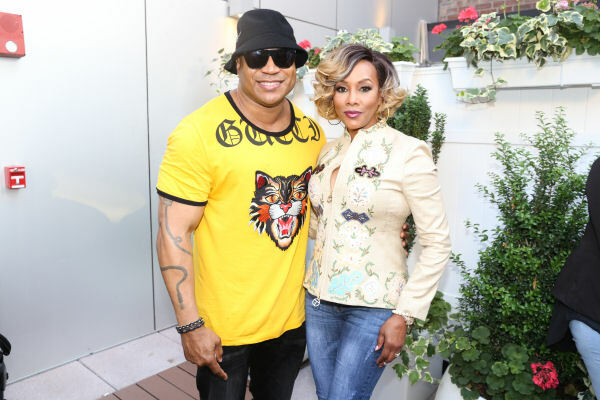 With temps in the 90s on Wednesday, throngs of LL COOL J fans filled Aloft Long Island City’s open-air courtyard to shop his wife’s, Simone I. Smith, jewelry collection benefitting the American Cancer Society. Simone, a cancer survivor, Queens native and an ambassador for the American Cancer Society, was joined by Vivica A. Fox and Bosch’s Jamie Hector. 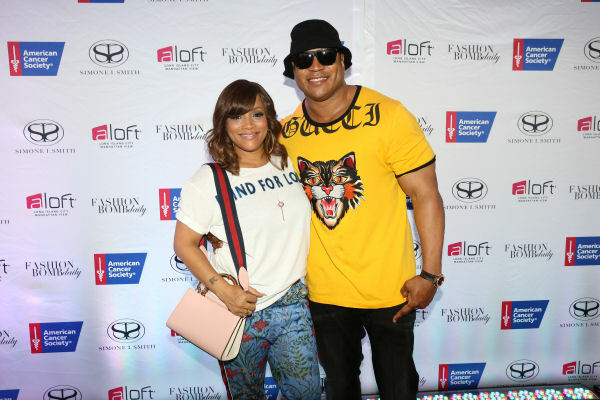 LL COOL J kept cool by sipping ice-cold drinks while posing for endless pictures with fans. Meanwhile, the couple’s kids had some fun playing pool at the Aloft pool table.